Friends‘ Matthew Perry will play the late Senator Edward Kennedy in Reelz Channel‘s sequel to The Kennedys TV mini-series. The Kennedys — After Camelot is an adaptation of J. Randy Taraborrelli’s book, After Camelot: A Personal History of the Kennedy Family 1968 to the Present. Perry currently stars in The Odd Couple TV series on CBS. Katie Holmes is set to return as Jackie Kennedy Onassis. Intuition Productions’ Keri Selig is an executive producer on the series. Jon Cassar (The Kennedys) and Katie Holmes will direct from scripts by Stephen Kronish and Sandra Chwialkowska. Holmes and Perry also executive produce. 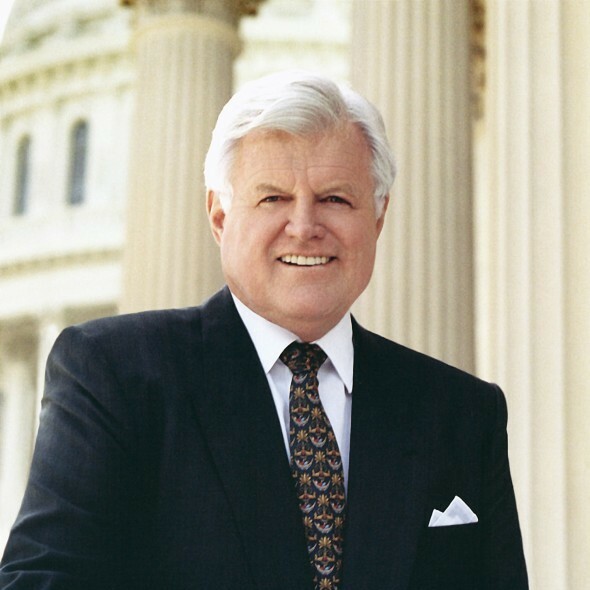 (Albuquerque, NM)– Tuesday, March 15, 2016 – Actor Matthew Perry will star as Ted Kennedy in The Kennedys-After Camelot, the follow up to the award winning The Kennedys. The new four hour mini-series is based on the New York Times best seller, “After Camelot: A Personal History of the Kennedy Family 1968 to the Present” by best-selling author and biographer J. Randy Taraborrelli and will premiere on REELZ in spring 2017. Perry will also serve as an executive producer. REELZ is a leading independent cable and satellite general entertainment network that is home to factual entertainment, television events, mini-series, movies and series featuring big stories and big stars. Programming ranges from the critically acclaimed and award-winning The Kennedys to Autopsy: The Last Hours Of…, Celebrity Legacies, OK! TV, Hollywood Scandals, Murder Made Me Famous, the upcoming mini-series The Kennedys-After Camelot and much more that connects directly to the world of entertainment. REELZ also showcases top movie and entertainment expert Leonard Maltin who provides specific on-air recommendations for movies viewers can watch at home. REELZ is available in 70 million homes on DIRECTV channel 238, DISH Network channel 299, Verizon FiOS TV channel 233, Time Warner Cable channel 128, AT&T U-verse channels 799/1799HD and cable systems nationwide. Find REELZ in your area by visiting www.reelz.com. REELZ is a High- Definition network and if it is not available, or not in HD on your cable or telco provider, we encourage viewers to call them and ask for it. Owned by Hubbard Media Group, REELZ is headquartered in Albuquerque, NM with national ad sales based in New York City with offices in Boston and Chicago. As one of the last truly independent television networks remaining in today’s media landscape REELZ has created the Independence Happens Here® website to help keep free thought and innovation alive by highlighting the importance of independent businesses. The website can be found at http://IndependenceHappensHere.com. What do you think? Did you watch The Kennedys mini-series? Do you plan to check out the sequel? Can you see Perry as Teddy? More about: Reelz TV shows: canceled or renewed?, The Kennedys -- After Camelot, The Kennedys -- After Camelot: canceled or renewed? I would love to watch the upcoming “Kennedy” series, but am very disappointed that I am unable to get the tv channel that the show will be seen on! Katie Holmes is magnificent as Jackie Kennedy “O.” She did an amazing job on the first Kennedy mini series! Also, I have always been a fan of Matthew Perry! I really like Matthew Perry, but didn’t care much at all for the alcoholic Teddy. Now sure if I’ll watch this or not.